The first woman Garda commissioner has walked or been driven from the field of play. Shame! I have no idea if she was a good or a poor commissioner. I don’t know if she was a reformer who tried to implement better practice and management, but, as she wrote in her retirement announcement, was so busy fire-fighting that she couldn’t get the job done. I do know that losing two commissioners in a short few years is a big deal for the Garda and for the country. It is important to state that the core problem was not Nóirín O Sullivan, and that the solution should not be reduced to a simplistic debate about an outsider and the salary that the job will attract in the future. It might be helpful, however, to name the source that was most proactive in resisting necessary and overdue change, and whose influence should now and in the future be reduced. And that is the Department of Justice. For years, and for all I know right up to the present, the resistance from the department to accountability and transparency in policing was mind-boggling. Their view was that those were issues and mechanisms that needed to be established and maintained up in the North but not down in Dublin. The gardaí were a different kettle of fish. There was nothing wrong with the force that the department itself couldn’t sort out because the people in the country trusted the Garda and the Department of Justice was the right and proper source of any oversight. For many years it was impossible to get a mature discussion with anybody of real authority within the department about the changing nature of policing and the growing demand for oversight and transparency that was happening throughout the world. It is only important to know that piece of history so as to provide some clarity in the present mess. The problems now are so complex that it is vital to establish an anchor that holds steady while the winds of public outrage and political infighting howls around it – and yet is strong enough to allow foundations to be established and built upon. In all the reform that took place in recent times, the Policing Authority should have been that anchor. Instead, under the influence and guidance of the Department of Justice, the politicians voted through an authority that was only a façade. It was an authority without authority. The legislation that established it gave it neither democratic authority nor procedural authority. It is more akin to a quango. The Policing Authority is central to the solution because no man or woman alone, no matter how much experience or charisma they possess, no matter from within or without the force, no matter the size of the salary, could sort out the mess that has been allowed to happen. A Policing Authority needs to be the representative and the mouthpiece of the greatest numbers, views and good intentions of the citizens of the country about policing. It can only be that if it has democratic authority and independence. The democracy can only be achieved if it has representatives from the broadest range of elected representatives. The political parties should have seats on the authority in proportion to the seats that they gain in the Dáil. It is wise that the political representation should be mixed with some non-politicians who will, when necessary, stretch or reduce the political self-interest. Charlie Flanagan, the Minister for Justice, has already said the job of appointing a new commissioner cannon be rushed. Thank goodness for that. If Flanagan wants to sort this mess out he needs to free himself from the shackles of his own department. He first needs to put before the Dáil a piece of legislation that establishes a proper Policing Authority. One that takes the power and the oversight away from Justice and gives it to the new authority. It in turn must decide the type and the scope of management that it believes best for policing, and the mechanism that will achieve that type of practice. It might decide to radically change the structure of the senior or the middle management, and it might well decide that there is a greater role for lay involvement. It might decide to delay the appointment of a commissioner until it has first sorted out some of the internal workings of the force. The important matter is to establish, once and for all, and to make it clear to all and sundry, who is responsible for overseeing and guiding policing practices in the State. Meanwhile, back at the ranch we have a Policing Authority that is made up of good men and women who have not been given the power or the democratic authority that they need to do the job. But they now hold the key to the more radical change that will ultimately restore confidence and moral in and of the policing service. They will now or soon be asked to begin the process of finding a successor to O’Sullivan. 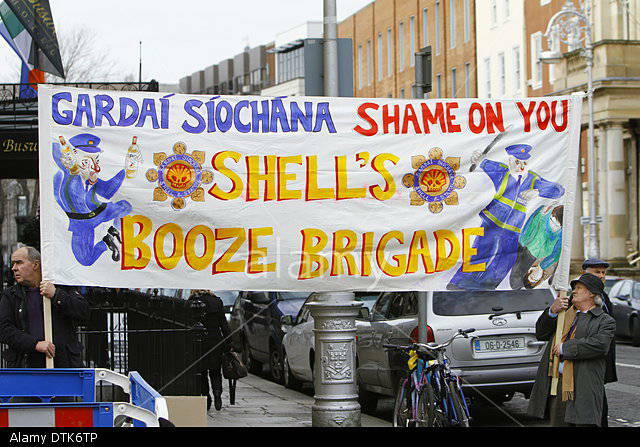 They should refuse to do it until such time as the new and proper Policing Authority is established. Their position should be clear and to the point. They have been in existence long enough to realise the importance of the democratic mandate, and they have been involved in enough continuing crisis to see that there are too many cooks in the policing kitchen. They should also insist that the new authority is properly financed and resourced to do its work. If they receive negative or half-hearted responses to these requests then their reaction should be quick and to the point. They should resign. One and all of them. This is too great a crisis to allow for obscuration and dithering. The job is too big and too messy for a commissioner alone to solve. This is an all-hands-to-the-pump crisis. The present authority needs to insist on the proper legislation and resources so that the new authority becomes the anchor to hold the boat while it appoints, guides, encourages and protects a new commissioner and other senior managers that it judges will guide the Garda into calmer waters. Denis Bradley is a journalist and former vice-chairman of the police board for the Police Service of Northern Ireland.